Gringo started going to parties in 1992, frequenting NYC's Limelight and putting him in the ranks of the "Old School" Ravers. He started spinning in 1997 in Savannah, Ga after hearing his roommate, who was a DJ, play the Bassment Jaxx's Red Alert and Rendez Vu tracks. Gringo has been playing Metal on the guitar and bass since 1990, and had no desire to spin, but was entranced by the 2 songs and played them on his roomies tables every chance he got...quickly falling in love with the equipment. 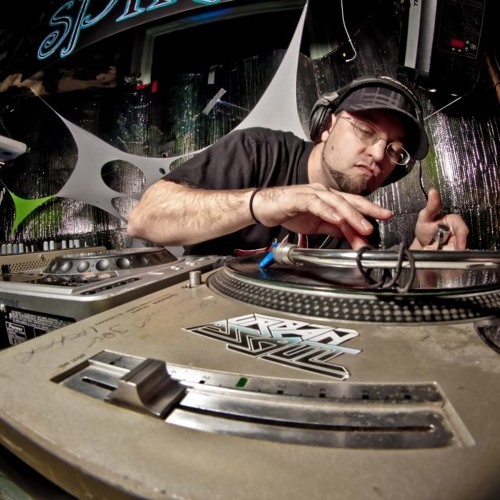 With a love for music, and love in a newly found genre of Jungle, he started spinning it and was granted opening slots in various clubs and house parties in Savannah, Ga and Jacksonville, Fl. Due to a few run-ins with the law, Gringo has been in and out of the scene, but was lured back in 2006 and began playing and throwing large outdoor events, clubs and EPIC house parties up and down the East coast spinning Disco-Peak Hour House and Jungle/DNB. He was an up and coming-respected DJ who's career came to a screeching halt due to another run-in with the law, but not before teaching a few very respected DJ acts in The Wetsteppers and DJ Conduktor of Dirty Nitrous. Gringo came out of prison with one thing in mind...stay out of trouble, focus on the music and do as Genghis Khan did...TAKE OVER, hence the name change!!! He plans on taking over, one dance floor at a time, now spinning the grimiest of filth including but NOT limited to Breaks & Nasty Electro/Fidget House!! He is now a crew member of Essence Productions, Kikwear Jeans, Va's Finest, Bonfire Land, Grime Sugar, & the former 81 Massive.